Ontario Liberal Party Leader Kathleen Wynne listen to students at the University of Waterloo during a campaign stop in Waterloo, Ont. As recently as last week, members of Kathleen Wynne’s campaign team still insisted – to journalists, other Liberals, maybe themselves – that they could turn this election campaign around. Okay, winning back government on June 7 was a long shot at best. But Ontarians were starting to look more skeptically not just at Progressive Conservative Leader Doug Ford, but also at the NDP’s Andrea Horwath, who had started in third and become Mr. Ford’s main competition. Ms. Wynne’s strong showing in the last leaders’ debate would help bring voters back into the fold. If only there was more time to capitalize on newfound momentum! To some Liberals on the ground, candidates or volunteers, this did not square with reality. But others heard enough nice things from polite voters to convince themselves maybe things weren’t as bad as polls let on. So this weekend, when Ms. Wynne conceded the election five days early, there was a sense from some of her party’s activists that the rug had been pulled out from under them. But while it was not how campaigning leaders usually behave, Ms. Wynne’s announcement was in keeping with the way she ran the entire race. Her central campaign has been a strange animal. 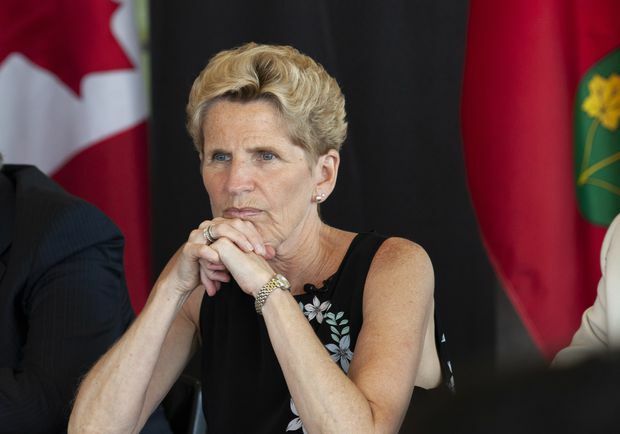 Operationally, from nice-looking events for Ms. Wynne to sharp opposition research on opponents, it has functioned at least as well as the other parties. But it has lacked a consistent, overarching strategy. Ontario election: What’s a voter to do? At various points this calendar year, Ms. Wynne has campaigned from the left and the centre; argued too many people are being left behind by economic growth and defended the growth as too strong to risk; presented herself as a change agent and tried to make a case for steady hands; portrayed Mr. Ford as a unique threat, and lumped Ms. Horwath with him as equally bad. Meanwhile, she has attempted to break through with a series of slogans and catch phrases – “Sorry, not sorry” is one of the more recent ones – promptly abandoned when they didn’t get traction. Her new plea to elect enough Liberals to hold a new (ideally minority) government to account stands out because it abandons the illusion she can keep power. As the Liberals would now settle for keeping official party status, they’re trying to help a few strong incumbents and first-time candidates in Liberal-friendly ridings, by removing any hint of Ms. Wynne somehow winning another term. But this latest pivot fits the pattern, in a couple of ways. One is its seat-of-the-pants quality, with Liberal insiders admitting they don’t know how it will play and have simply run out of other options to avoid their vote collapsing. Another is its potential to confuse rather than persuade. Like many of Ms. Wynne’s other recent pitches, this one can sound somewhat convincing when one of her advisers gives a background explanation. But as with trying to explain why things aren’t perfect but are on the right path, or why Ms. Wynne wishes more people liked her but doesn’t have any regrets, it’s not easily distilled. The other parties are speaking to voters in sentences: Vote PC for change; vote NDP for more positive change than Mr. Ford offers. The Liberals are speaking in paragraphs. The more convoluted the message has become, the more it’s been evident they’re grasping at solutions to the unsolvable: Most Ontarians just aren’t willing to consider them again. As the Liberals try to pick up the pieces, there will be recriminations for Ms. Wynne’s campaign team. And they won’t be totally undeserved, since her top strategists are paid well and given lots of credit when results are happier – as in the previous election, in 2014. But ask yourself, if you’re an Ontarian ready to move on from the Liberals: Is there anything they’ve said, this year, that would have changed your mind if they’d stuck with it? Is there some other magic message that might have done so? Maybe a different messenger would have made a difference. Already, there are Liberals speculating that Ms. Wynne should have cleared the way for another leader before this election, given her brutal approval numbers. But electoral politics attracts the sorts of people capable of believing they’re competitive even when they’re not, or just one good break away from persuading everyone to see things the way do – whether they’re party leaders who can’t resist one last fight, or lowly volunteers door-knocking on their behalf. Reality isn’t pleasant when it sets in, as it did this weekend. The Liberals know, now, there’s no escaping the dark clouds over them. They’re left to hope Ms. Wynne’s last, best gambit adds a sliver of a silver lining.